Diamonds are a heavy investment and it is important to take care of them. Store your precious stones properly and clean them with a soft toothbrush, suggest experts. * Keep your jewellery in a padded box. 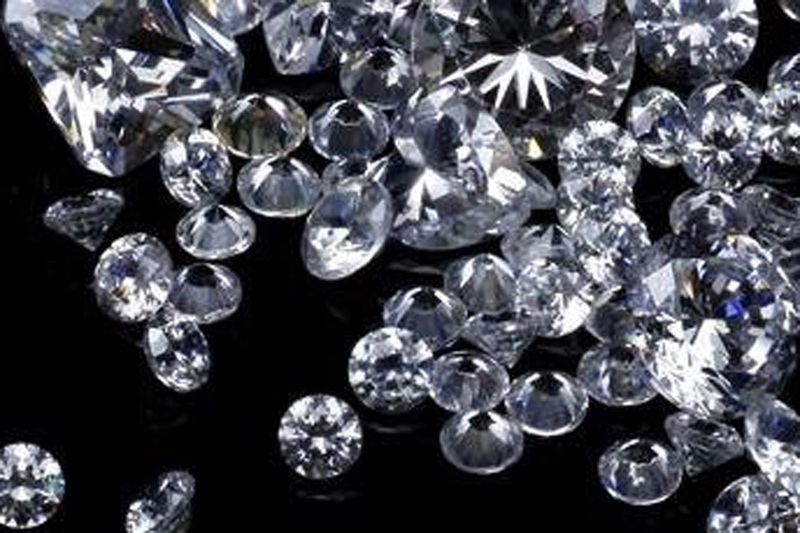 Diamonds can be scratched by rough containers. It's important to keep each piece separated in its own padded box to help protect it over time. * Scrub the jewellery with a soft toothbrush. Always clean your jewellery with a soft toothbrush. Pull the jewellery out of the cleaning solution, and gently scrub all around the diamond. Regular cleaning will keep your diamond jewellery look bright and new, but do not rush to the jeweller every now and then for polishing. Neither use the old formula of cleaning your jewellery using baking soda or toothpaste rubbed into the metal. This will remove tiny amounts of metal every time you do it and over time it will damage and deplete your precious jewellery, especially the prongs of the gemstones and diamond would start depleting, increasing the chances of them falling off. Wash your jewellery with warm water using a gentle liquid soap. The soap for woollens or even hand soap with no moisturiser or harsh chemicals should work well. You can also dip your diamond jewellery into the solution made of equal amount of water and ammonia for about 30 minutes, rinse, and dry the pieces by placing them on a soft cotton cloth. Dry your jewellery piece completely before using or storing after cleaning them. * Keep your diamond jewellery away from sharp things. If you keep your diamonds near another sharp piece of jewellery or in a metal box, it can scratch their surface, hence making them lose their shine. * Before you go for a shower, take off all your diamond jewellery. The chlorine present in the water is not at all good for the stone. So, remove each piece of jewellery, including your wedding ring, before you take a bath. * Put on jewellery after applying perfume and hairspray, as these substances can build up on jewellery and cause discoloration. * Be aware of limitations: Diamonds are one of the world's hardest natural materials, but that doesn't mean they are indestructible. Besides monitoring the actual stones for chips and scratches. Keep a check whether the stones are loose or not. * Avoid wearing jewellery while exercising or during other activities that cause sweating. Sweat discolors some jewellery, especially artificial pearls. The discoloration occurs when the sodium from perspiration dries on the jewellery. Over time, this sodium build-up causes an overall dullness to metal surfaces. * Take your diamond jewellery to a professional jeweller twice a year. Diamond jewellery needs to be checked by a professional jeweller regularly. They will look at the prongs to make sure they are in good shape. If something is damaged, the jeweller can repair it before something breaks and you lose a diamond.